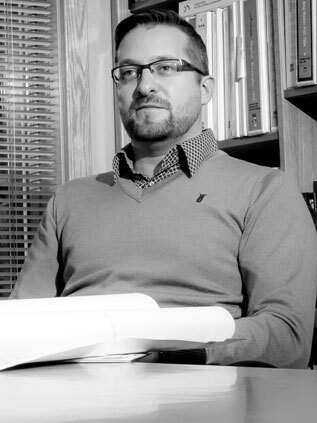 Ryley Thiessen | Ryley Thiessen | Ecosign Mountain Resort Planners Ltd.
Ryley Thiessen is a graduate of Landscape Architecture from the University of Guelph with 15 years of experience in mountain resort planning. Ryley is the President at Ecosign Resort Planners (2016) Ltd.; a world leading design firm specializing in Ski and Mountain Resort design. Having personally worked on over 100 Master Plans in 23 countries worldwide including the United States, Canada, China, South Korea, Chile, Russia, Mexico, Serbia, Montenegro, Bulgaria, Austria, Switzerland, Finland, Norway, France, Greece, Italy, Spain, Macedonia, Romania, Ukraine, Kosovo, Georgia; Ryley offers specialty expertise in resort design including pedestrian village and real estate design and four season recreation master planning. During his 15 year career at Ecosign, Ryley has been involved in the design of four Olympic Winter Games Snow Cluster Competition Venues and was the lead designer for the Snow Cluster Athletes’ Village in the recently awarded 2022 Winter Olympic Games for Beijing, China. Ryley was the lead resort designer of perhaps three of the fastest growing four season resorts in the world; Bukovel Resort, Changbaishan Resort and Gudauri. Bukovel Resort in the Ukraine experienced growth from 50,000 annual visitors to over 1 million in just 8 years. Changbaishan Resort in Northern China was constructed by the largest commercial developer in China, with an estimated investment of over $2.5 billion (USD) in just over 2 years. Skier visits doubled in just two years since opening. In 2010, Ecosign was commissioned to create an “Immediate Action Plan” for the Gudauri Resort, Georgia in order to improve the existing facilities and create a new, modern slope-side pedestrian resort village. Following Ecosign’s design work in 2011, the “New Gudauri” resort village base area was constructed and included a new beginner ski and snow play zone, snow tubing, guest parking lots and a new high-speed gondola. A total of four new village commercial and condotel buildings have been built since construction commenced in 2011. Since the implementation of the first phase of the Master Plan in 2011, Gudauri has experienced a 300% increase in the number of skier visits. Ryley has worked with various public agencies including all levels of government on the production of feasibility studies and regional master plans, as well as the study of entire countries to help to identify potential/ optimal locations for the development of four season resorts. Ryley has extensive experience and knowledge in working with both the public and private sector throughout the design and construction process in order to satisfy the needs of the client and help attract resort investors or successful regional and flag international hotel operators at the resorts. Currently, Ryley is the lead Resort Designer for the Thaiwoo Four Season Destination Resort located 3 hours from Beijing, which is positioned to be perhaps the best and largest ski resort in China at buildout. The grand opening of the resort village took place in December of 2015. The total investment of the Phase 1 resort is estimated at $475 million (USD). Ryley continues to enjoy his active mountain lifestyle of skiing, snowboarding, mountain biking and golfing in Whistler where he currently resides.